Recently I went to a Bisol family Prosecco wine tasting. I haven't had much experience of Prosecco thinking it a cheap alternative to champagne. I was pleasantly surprised and learned a lot. The wines below were what I tried last night and can be bought at Harrods. Prosecco wine is a crisp sparkling white wine with a slightly bitter aftertaste. 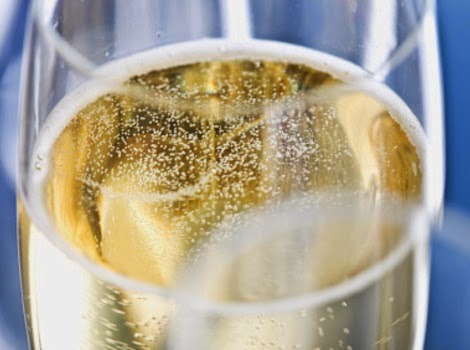 Prosecco is a term applied to a specific type of wine as well as the grape that is used to make it. Prosecco is the area the Glera grapes are grown in. The Glera grape is primarily grown in a region of Italy known as Veneto. It is also grown in the Valdobbiadene and Conegliano wine regions, both north of Venice. The wines above are from the Valdobbiadene region. Prosecco grapes ripen later than most other grapes. What grapes are used to make Prosecco? The grapes to make Prosecco are called Glera, there is no such thing as a Prosecco grape. No black grapes are allowed in the Prosecco region. What's the difference between spumante and frizzante? Prosecco grapes are used to make two types of sparking wine. They can be used to make spumante, a dry sparkling wine, or frizzante wines, which are semi-sparkling. There are two specific cocktails that call for Prosecco wine. Bellinis are a favourite cocktail of mine and are made by mixing peach puree with the sparkling wine. Prosecco, vodka, and cranberry juice are the ingredients of the Poinsettia cocktail. Both of these are lovely and refreshing cocktails; with Bellinis lovely during warm weather months and Poinsettas being delicious and perfect for Christmas parties. 1. Chianti is a food wine. 2. When matching food with wine you need a wine with high acidity. Acidity is not a flavour it's when saliva washes away the food in the mouth. 3. 95% of all wine produced today is not made for ageing - it's made for drinking straight away (excluding fortified wines). 4. Most champagnes are meant to be kept for c.five years. Q: How many bubbles are there in a bottle of champagne?